"The product should not be having these problems so early in its life, which is distressing for patients," said Ellen Relkin, a Weitz & Luxenberg Defective Drugs and Devices team leader. "Such problems can occur when companies rush implants to market without performing adequate tests and clinical trials." NEW YORK, N.Y., April 9, 2015 (SEND2PRESS NEWSWIRE) — A recent voluntary recall of Zimmer Persona Knee Trabecular Metal Tibial Plates, which the U.S. Food and Drug Administration (FDA) subsequently categorized as a Class II recall, has led Weitz & Luxenberg, P.C., to begin accepting cases involving Zimmer Persona Knee replacement injuries, the law firm today announced. The company that manufactures the Zimmer Persona Knee Trabecular Metal Tibial Plate initiated its voluntary recall after learning of complaints that some of the implanted devices were losing fixation or developing radiolucencies on X-ray or both, Weitz & Luxenberg said. When a knee implant becomes loose, it can cause pain and discomfort. According to Relkin, patients implanted with a Zimmer Persona Knee who subsequently experienced unresolved pain in or near the surgically treated knee, or experienced an unexpected loss of mobility or lower-limb function, are invited to contact Weitz & Luxenberg to discuss legal rights to compensation. The compensation to which a Zimmer Persona Knee patient might be entitled could include reimbursement for the cost of revision surgery, hospitalization and related clinical services, the law firm said. Zimmer Persona Knee patients might also be entitled to compensation for income lost during the time they were recovering from the revision surgery and were unable to work, Weitz & Luxenberg said. The law firm indicated that there might be other forms of compensation available as well. Zimmer Persona Knee replacement patients can contact Weitz & Luxenberg for a no-cost, no-obligation discussion of their legal rights to compensation, the law firm said. The FDA issues Class II recalls when there exists a risk that a product could cause harm, but not death or serious injury, Weitz & Luxenberg said. Sizes C through J of the Zimmer Persona Knee Trabecular Metal Tibial component, both the right- and left-knee versions, are the subjects of the FDA’s Class II recall, Weitz & Luxenberg said. Nearly 12,000 Zimmer Persona Knee Trabecular Metal Tibial Plates had been distributed worldwide by the time of the recall, the law firm said. Many of those units were distributed in New York, New Jersey, California and Pennsylvania, among other states said Weitz & Luxenberg. Numerous VA hospitals around the country utilized these implants. All sizes and lots of the affected devices are being removed from distribution and are being quarantined. 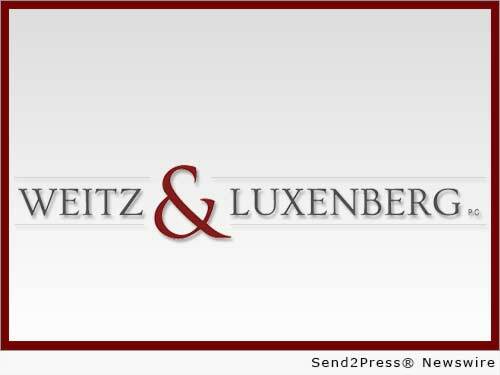 Weitz & Luxenberg P.C. is among the nation’s leading and most readily recognized personal injury and consumer protection law firms. Weitz & Luxenberg’s numerous litigation areas include: mesothelioma, defective medicine and devices, environmental pollutants, products liability, consumer protection, accidents, personal injury, and medical malpractice. Victims of consumer fraud are invited to rely on Weitz & Luxenberg’s more than 25 years of experience handling such cases. You can initiate an inquiry by the firm by calling 888-411-LAWS or by visiting http://www.weitzlux.com/. Original Keywords: personal injury, and medical malpractice, Trabecular Metal Tibial Plates, Defective Drugs and Devices Weitz and Luxenberg P.C. New York New York NEW YORK, N.Y.
REFERENCES: Health and Medical News, personal injury, and medical malpractice, Trabecular Metal Tibial Plates, Defective Drugs and Devices Weitz and Luxenberg P.C. New York New York NEW YORK, N.Y.